I’m always on the quest for better skin and love trying new beauty products and techniques. 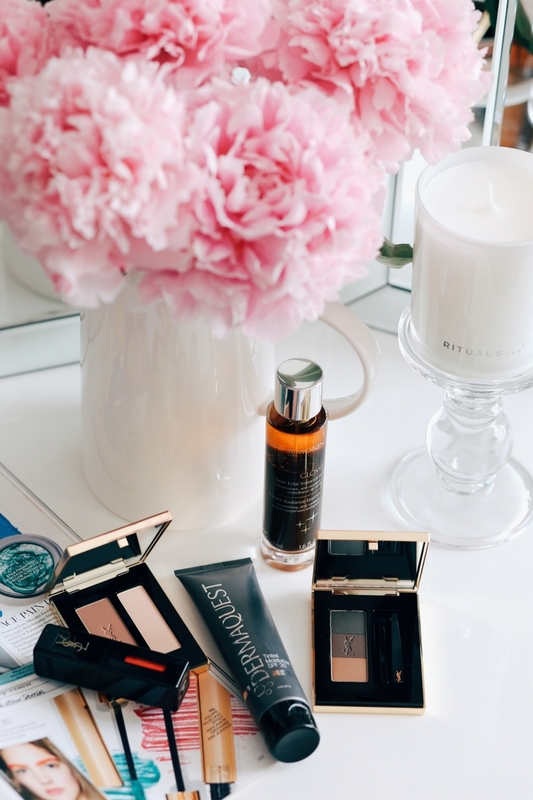 I’m obsessed with skincare and I feel that mine is more radiant when I pair a strict skincare regime with my favourite make-up products. So, without any further ado, here’s what I’ve been loving this month! I’m a big fan of cleansing, and for the past six months I’ve reached for my trusted Panasonic Micro-Foaming Facial Cleanser Brush on a weekly basis. Unlike other facial brushes, this particular one feels very delicate and soft on my skin. It doesn’t dry out my face, and makes my make-up removal easier, without the need for excessive cleansing products or rubbing. 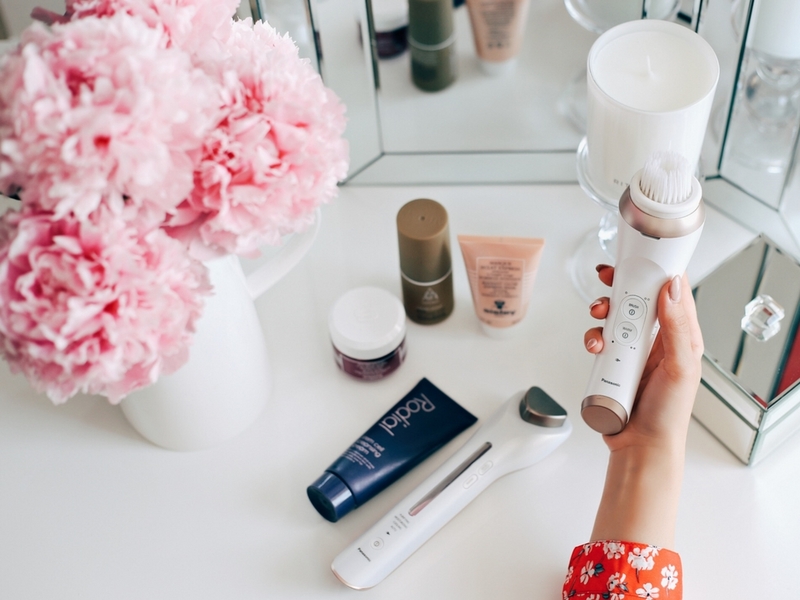 At-home beauty has never felt so incredibly good as Panasonic launches the 3-in-1 Micro-Current Facial Enhancer, available from Harvey Nichols, priced at £200. 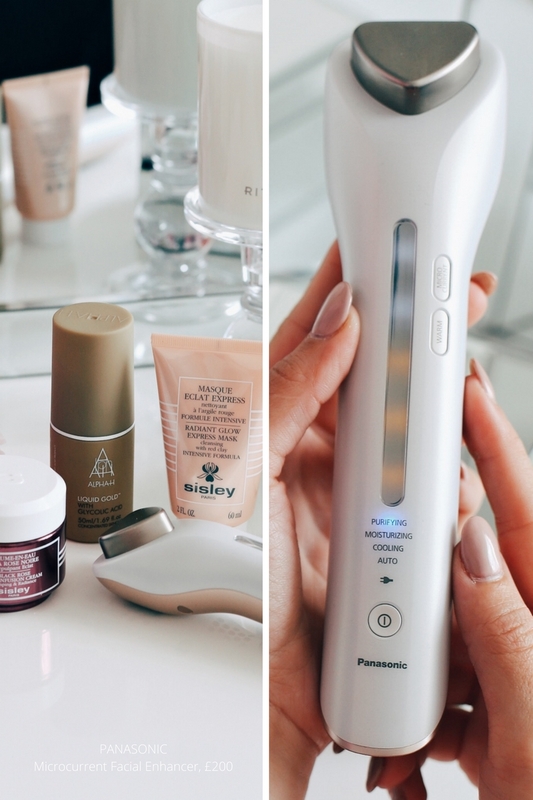 The first of its kind, the Panasonic 3-in-1 Micro-Current Facial Enhancer significantly improves the work of your toning and moisturising products by enhancing their purifying, moisturising and cooling capabilities for a firm and radiant complexion. I’ve been using mine for the past few months as part of my weekly skincare routine and I can’t recommend it enough! For days when my skin needs some extra love, I swear by Sisley’s Radiant Glow Express Mask for an instant radiance boost and Alpha-H Liquid Gold. Truth is, I had this product sitting on my shelf for a while, because I didn’t quite like the sound of Glycolic Acid. After reading the reviews, I decided to give it a try – and now, I’m obsessed! I use it as an intensive treatment overnight without applying a night cream on top. The combination of Glycolic Acid and Liquorice improves the appearance of wrinkles, open pores and acne. It also firms and exfoliates in just one overnight application. Need I say more? 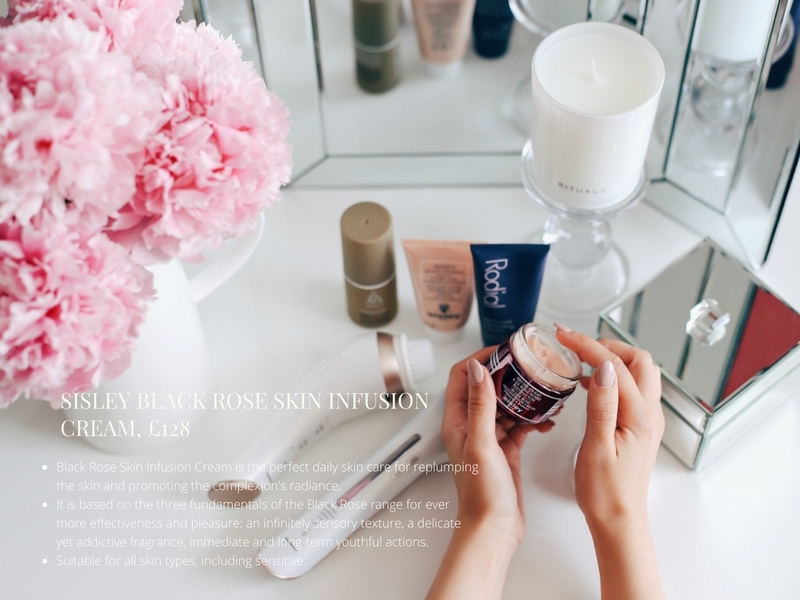 Another recent addition to my skincare routine is Sisley’s Black Rose Skin Infusion Cream, perfect for daily use. The light and silky formula transforms into droplets of water and permeates into the heart of the epidermis, leaving the skin hydrated and radiant-looking. During Summer, I like to switch from foundation to tinted moisturizer – recently I’ve been using Dermaquest Stem Cell 3D Tinted Moisturizer that keeps my skin hydrated and masks imperfections, but also creates a protective barrier that shields skin from damaging UVA and UVB rays thanks to its SPF30. 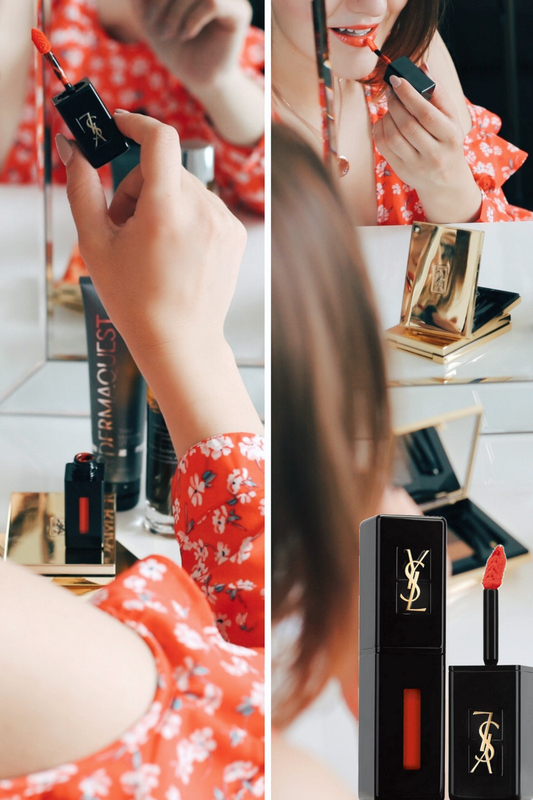 YSL Beauty have been busy launching new products and oh my – we’re being spoiled for choice! 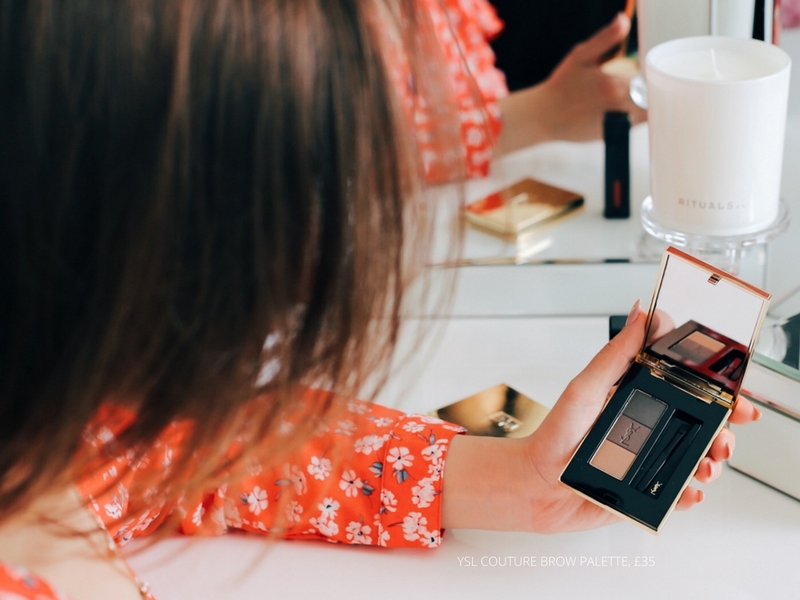 First, there’s a beautiful range of brow products (my personal favourite is their Couture Brow Palette – I now use it religiously), a Couture Contouring Palette and a lipstick stain. I’m not going to go into other details, because I have a separate article coming your way this weekend. Boom! Next Post Pretty platform sandals you’ll want to wear all Summer long!